Tynor B-08 Cervical Pillow is designed to keep the neck in the slight hyperextension position at night to counter the stress and strain of the day where we tend to keep the neck in the opposite “flexion” position. It cures the cervical problems while you sleep. 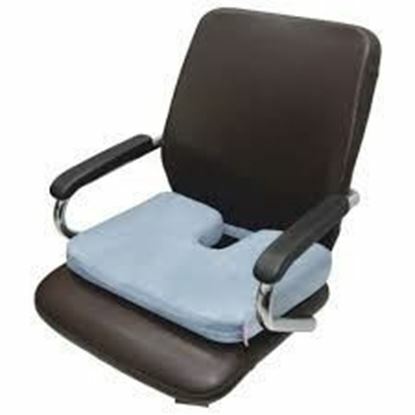 Size: Universal (3"-4.5") Features of Tynor B-08 Cervical Pillow: 1. Soft and cushiony, more comfort, good resilience, effective support to the neck and longer functional life. 2. Maintains the neck in slight hyperextension, provides muscle relaxation and proper support to the neck. 3. Provides soft feel, good aesthetics, and durability. 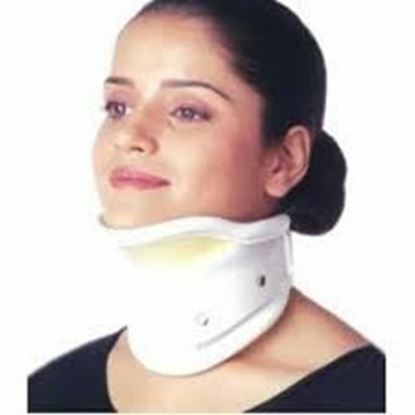 Information about Vissco Cervical Collar with Chin Support PC-0310 M Vissco cervical Collar With Chin Support- 0310 provides excellent cervical spine immobilization. Size: Large Key features of vissco cervical Collar With Chin Support- 0310: Provide warmth and support to the neck region. Can be easily applied and adjusted in height lining provided with foam rubber covered with vinyl for comfort. Anatomically designed. Fabric is tested for its anti-fungal and anti-bacterial properties. Exterior covered with soft cotton knitted fabric to absorb perspiration and provide cool and comfortable support. Made from high density Polyurethane (PU) foam. 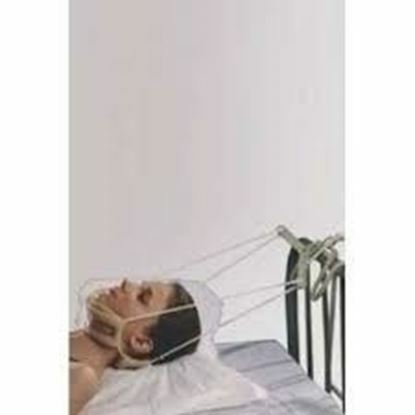 Information about Tynor G-26 Cervical Traction Kit with Weight Bag (Sleeping) Universal Tynor G-26 Cervical Traction Kit (Sleeping) With Weight Bag is a complete apparatus designed to provide traction to the cervical and upper dorsal vertebras. It relieves pressure by stretching the musculature and connective tissue components of the cervical spine. It expands the intervertebral joint space and relieves pressure on the anterior vertebral bodies. Available sizes: Universal. Salient features of Tynor G-26 Cervical Traction Kit (Sleeping) With Weight Bag: Can be conveniently used at homes or hospitals. Sturdy design for a long life and multiple use. Can be used in sleeping posture. Pulley is ergonomically designed to fit any door side. Soft padded head halter provides a comfortable interface for the traction. Easy removal and application. Reduced frictional losses. Xamax Coccyx Cushion is ergonomically designed and scientifically crafted, Xamax Coccyx Cushion is an easy way to prevent pressure on the Coccyx (tail bone) and the lower spinal region. The unique U - shape cut helps in relieving pressure by not letting the tail bone come in contact with the sitting surface, resulting in comfort to the user. It is ideal for those who suffer from an injury that results in chronic spinal pain and can be used on any seat: car seat, office seat or even at home. Xamax Coccyx Cushion is recommended for obesity, post back surgery, chronic pain conditions, inflammatory pain, a fall onto the tail bone, injury or fracture of the lower spine, and pregnancy. Features of Xamax Coccyx Cushion Relieves pressure on the tail bone. Unique cut-out section, minimizes pressure at the coccyx region Elevated design promotes correct spinal alignment for better posture. Made up of medical grade PU foam. 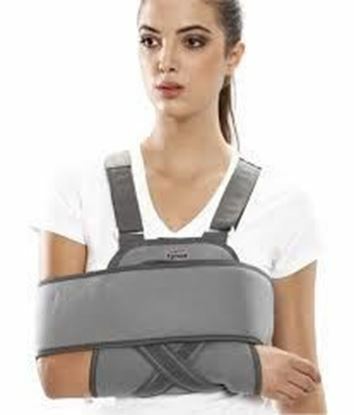 Tynor C-02 Universal Shoulder Immobiliser is one of the most commonly used designs to immobilize and support the dislocated shoulder. This is also used in the fractures of clavicle bone and the shoulder joint where immobilization of the region is required. Available sizes:: Universal (28"-42") Special (42"-52") Salient features of Tynor C-02 Universal Shoulder Immobiliser: Offers better immobilization. Easy application and removal. Durable and non –tearable. Plush looks. Provides warmth. Wrinkle free. 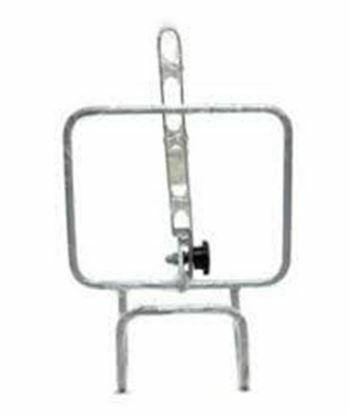 Tynor G-17 Traction Pulley Bracket is an ultimate tool to be either used at clinics or at your home. 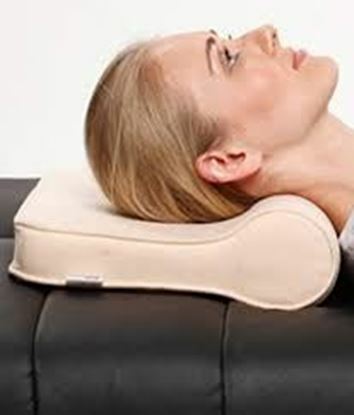 This device helps in reducing the pressure or strain from the cervical area. It provides immediate relief and aids to relieve pressure by stretching the musculature of the cervical spine. It works by expanding the inter vertebral disk space and ensure a safe and pain free life for you. Available sizes: Universal. Salient features of Tynor G-17 Traction Pulley Bracket: It provides continuous controlled traction. It has an adjustable and flexible size. It provides continuous controlled traction. It helps relieve pressure by stretching the musculature and connective tissue of the cervical spine. It allows one to get benefited from traction therapy directly from home. It has a simple design that is easy and hassle free to put on or remove.